Humanitarian aid workers live to save lives, reduce suffering and promote sustainable progress in vulnerable locations across the globe. In this article, three humanitarian pictures are highlighted in order to prove the necessity of aid workers in the world. Humanitarian aid workers are unique because they dedicate their lives to help people in need located in different vulnerable areas around the world. They are compassionate people who work towards better living standards for everyone. That is why we make it our core value and duty to serve humanitarians. In the following photo lineup, we make a tribute to humanitarians working under extreme circumstances. These are situations concerning life and death after local communities have been hit by a natural calamity. From the Mediterranean to Nepal, humanitarians are everywhere to help those in dire need of help. 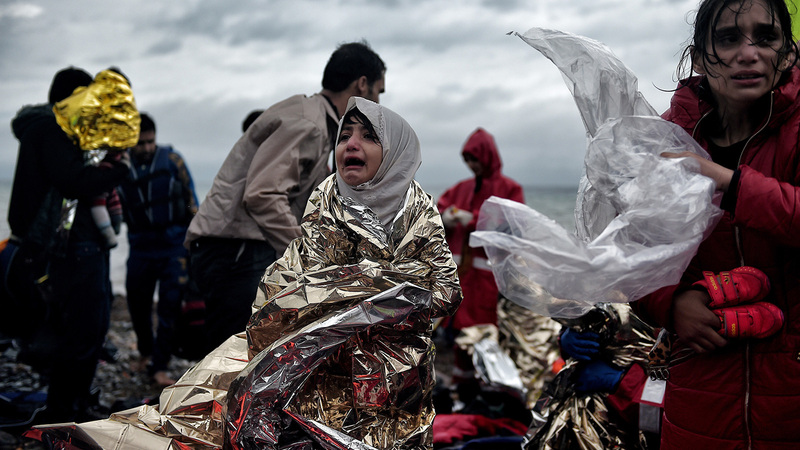 The first of the humanitarian picture in this article was taken on the Mediterranean Sea. Thousands of children from Africa take the punishing trip across the sea every year, trying to reach Europe in search of a better life. This journey is becoming increasingly dangerous for refugees and migrants fleeing war, extreme poverty, and persecution in their countries. More than 5,000 people drowned in the Mediterranean last year alone. Most of the refugees failed in their efforts to travel from North Africa to Italy. Against that background, humanitarian organization Save the Children launched a vessel with the aim to save lives at sea. The vessel has facilities to rescue and accommodate approximately 300 people at a time. In April 2015, Nepal was hit by the Gorkha earthquake. It was the worst natural calamity to hit the country since the Nepal–Bihar earthquake in 1934. In the aftermath of the earthquake, ninety percent of the Nepalese army went to the stricken areas, helped by volunteers from other parts of the country as well as other volunteers from abroad. 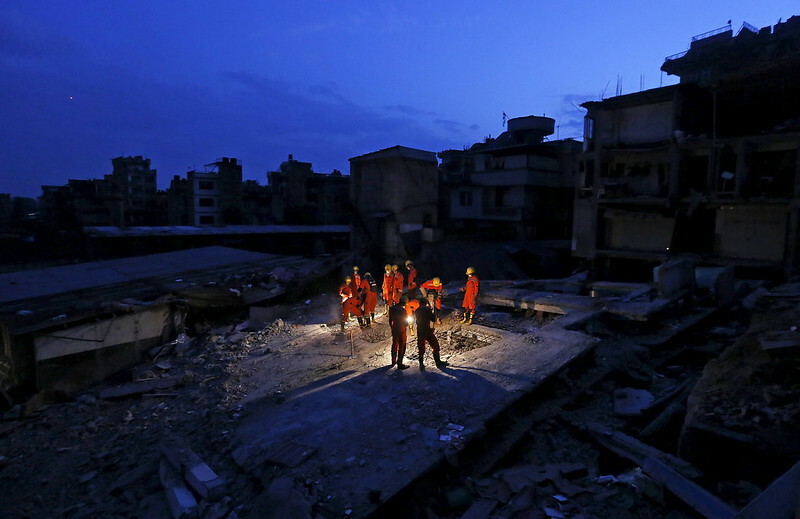 In the picture, you can see rescuers from India's National Disaster Response Force. These humanitarian aid workers are searching for earthquake victims in Nepal's capital Kathmandu. Heavy rainfall of more than 200 millimeters (7.9 inches) was recorded in Pakistan, during the four-day wet spell in July 2010. Pakistan appealed to the international community for help in responding to the disaster that had stricken the country. The US embassy was one of the parties to chip in with seven helicopters. In this picture from the US Department of Defense, two Pakistani men are throwing a bag of flour onto a pile out the back of a U.S. Army CH-47 Chinook helicopter. This was one of the helicopters that were used to give humanitarian assistance and help with the evacuation of victims of the flood in the Khyber Pakhtunkhwa province. By early August, more than 350,000 people in total had been rescued. We are privileged to assist humanitarians and humanitarian organizations by arranging their travel to areas where they are needed. Humanitarians who can make a difference during life and death situations, like in the images above, are all about compassion. If you have any other striking examples of humanitarian pictures, please let us know via Twitter. If you want to learn more about our inspirations as a travel management company, check out our daily updated News & Community section.